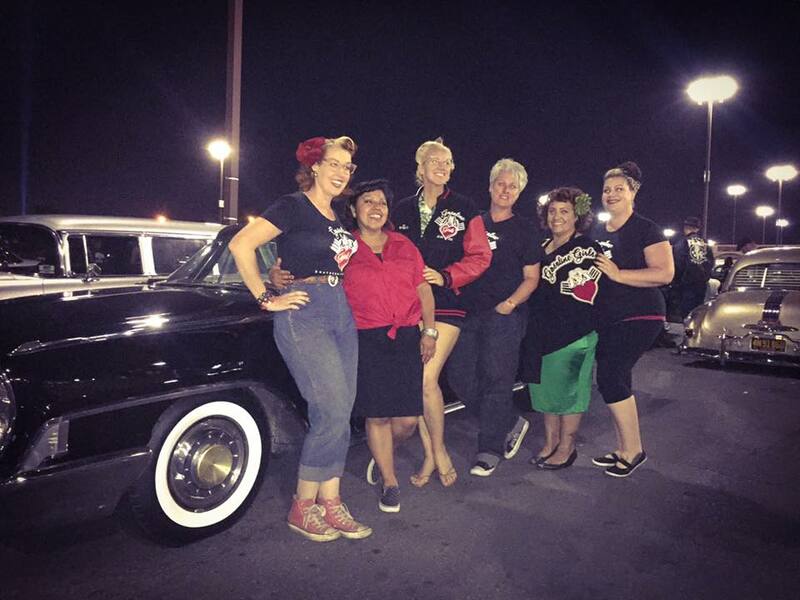 All-female car club dedicated to learning & wrenching on our cars. The Gasoline Girls Motor Club was created with the mindset to be a working club. Co-Founders Kristin and Becky Sue met each other at Viva Las Vegas 2010, where they had both brought the cars they’d been working and learning on. Nearly the only girls they could find who’d brought a car to that large show, and it seemed the only girls who’d worked on them, the two were eager to find more women who wrenched on their rides and inspire and empower more to get into the garage. From there the club has had various twists and turns and has adapted to fit the lives of its members. We’re not about being the biggest club at the show or being seen everywhere… we’re in it for the long haul and are about learning and working on our cars and growing as friends and supporting one another. Currently the club is made up of six members, as well as some “friends of,” located across the Los Angeles and Riverside counties and the High Desert Region (and now one’s moved off to Texas). Click the pictures to read more about the Gasoline Girls and their cars! The best way to get involved is to follow along with us on Facebook or Instagram – we do our best to post current happenings there. We are always eager to meet new gals who are working on, or want to work on, their rides! Gasoline Girls is a hands-on motor club based in Southern California since 2010. If we drive it, we work on it! Never want to miss a Gasoline Girl moment? Enter your email in the box below and click, Sign me Up! Watch us on NBC Los Angeles News! !